Lauren Van Mullem, who captures your authentic voice in a way that meets the needs of your specific audience, and her solid knowledge of on-page SEO will get your web content noticed. In fact, she literally wrote the book on marketing using Pinterest for the twenty women’s travel bloggers she managed on Wanderlust and Lipstick. Her theory is that to be a successful writer – and a valuable asset to any business – you have to have a gift with words and a mind for marketing. She works daily to develop both. Here’s how to DIY your marketing cartography in 5 simple steps. Answer this question: Who are your best buyers now? The answer, or answers, to this question is what you use to create a buyer persona – a fictional character representing your ideal client. This persona should have a gender, an age, a profession, and yes, even a personality. Fear of Abandonment: The irrational belief that one is in imminent danger of being personally rejected, discarded, or replaced. At least for Ecommerce sites, this isn’t an “irrational belief” at all – you see it every day: Cart abandonment. 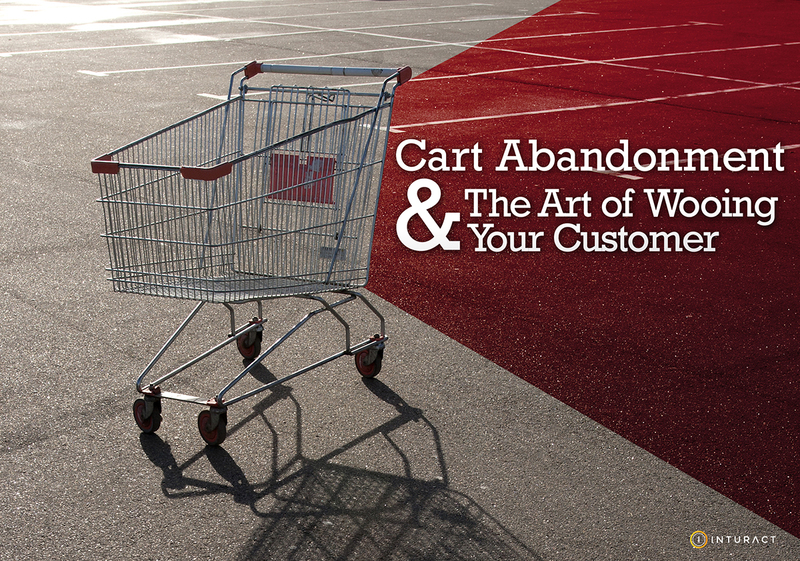 Most online retailers experience high rates of cart abandonment and can’t understand why. “Why do you want to leave me? !” they plead, sounding a lot like the ex-boyfriend I had in college. In fact, much like that ex-boyfriend, most retailers send you notes as if you didn’t leave, you just forgot about them. For a really long time. Is this effective? Well, as my ex-boyfriend could tell you, not one bit. So what is? How do you woo your cart abandoner back to finalize their purchase? Metrics are the magic beans to growing your SaaS business. But not just any numbers will get you from the ground to the clouds - it’s crucial to use formulas made especially for re-occurring revenue businesses since they take into account the facts that make your sales strategies and income situation unique. Here, we’ll examine the metrics needed to find the cost to acquire a new customer and the lifetime value of a customer. Lately, I’ve been on a quest to find the perfect pair of eyeglasses to fit my giant face (the technical term for “giant face” is “wide temples”). The upshot is, most eyeglasses are made for smaller heads than mine, which means that I really need to try on eyeglasses before I buy. Fortunately for big-headed gals like me, online eyeglasses stores are making at-home try-ons easy. These eyeglasses webstores are doing a terrific job of aligning their inbound marketing (the cutest pair of glasses popped up in my Facebook sidebar and I just had to click), website (sleek, modern, intuitive navigation), and freebie incentives (free shipping for at-home trials!). It’s called the World-Wide Web for a reason – anyone, from anywhere (except maybe North Korea) can find your products and buy them. But just because that potential is there doesn’t mean everyone is tapping into that global market. Are you set up for international ecommerce? Here’s a checklist to see if you’re effectively going global (and beating your competition to foreign markets!). Inbound marketing not only increases your leads – when done right, it also increases the quality of your leads. Ideally, your sales team should only be engaging with inbound leads who are warm and informed – and most importantly, qualified. The way we begin this process of separating the wheat from the chaff is to first hone in on what a “qualified” lead looks like for each of our clients. What does a qualified lead look like? Inbound Marketing is all about building relationships – really! That's what we’re doing right now by publishing helpful articles and Tweeting daily awesome insights for your reading pleasure. It turns out that being friendly online isn't just good karma, it's good marketing. Do good work, treat people well, help when you can, and be likeable. Sustainable sales can be as simple as that. What Do You Need More? Email Marketing or Marketing Automation? Email marketing and marketing automation are connected, like Tiger Woods and his golf club. Now, Tiger Woods could probably use a pool cue to hit a golf ball and do better than most of us, but having the right tool for the job does make a substantial difference – even to his game. To be clear, in this metaphor, Tiger is Email Marketing, and his golf club is Marketing Automation. For great Email Marketing to make those hole-in-one shots, it needs the right tool to get the ball on the green. * The two combined is a powerfully rewarding combination. *Your customers are the little spiky bits of grass on the green. What is Churn and why is it killing your business? If you’re hiring an inbound marketing company to stoke the fires of your SaaS product or subscription service, you’ll hear a lot about churn. It’s a metric that represents the number of customers who disappear off the face of the planet, get abducted by aliens, are swallowed by the earth, and are otherwise inactive for a given time period. The “Next Big Thing” in online marketing is something that’s been here all along, though it has gained a shiny new name to reflect its increased emphasis. No, it’s not Customer Service, or Customer Support re-vamped. It’s what the best companies have always done: delighting customers. When is the last time you felt delighted by a company?